A frog species on the brink of extinction has new hope after Bolivian researchers made a dating profile for its "last man standing". 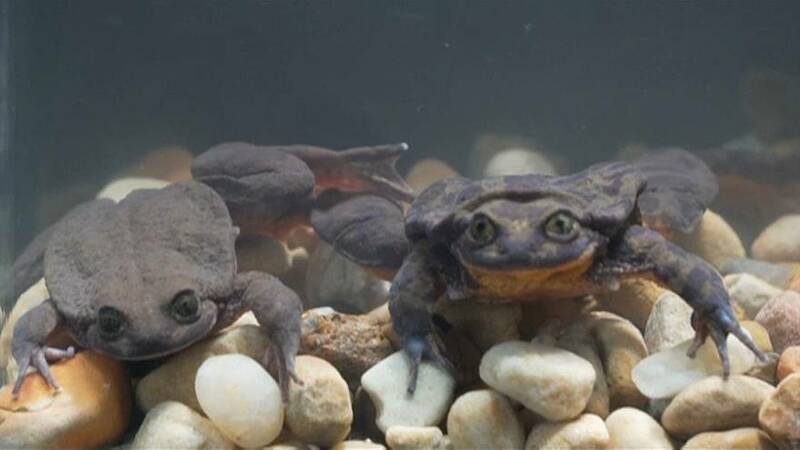 Romeo was the only Sehuencas frog in captivity for a decade – and the species lives no longer than 15 years. The Sehuencas population has declined rapidly due to a combination of climate change, habitat loss, pollution, disease and the introduction of tadpole-feeding trout in Bolivia, Ecuador and Peru. Unable to find funds for an expedition to find Romeo a mate, scientists from Global Wildlife Conservation created a profile for him on dating site Match.com. The fundraising ploy worked, and €22,230 ($25,000 dollars) and two attempts later, a match was found and Romeo and Juliet (naturally) had their first encounter under the supervision of a chaperone/scientist. Fans of the star-crossed amphibians can follow the romance on weekly Facebook Live events, beginning on Wednesday.